I am excited today to interview a fellow podcaster, Teliah Gienger, of The Balancing Act Podcast. Teliah and her husband got their start with brick and mortar businesses; opening a yoga studio followed by a juice bar. She shares a story in the episode about a water line emergency on their juice bar's grand opening. While she can laugh about it now, it just goes to show that there are many challenges, no matter what type of business you are trying to start, but you can overcome them. Starting 4 businesses in a year’s time sounds pretty overwhelming, doesn’t it? Teliah admits that there have been points of overwhelm as they have gotten everything going. But they aren’t solely responsible for doing all of the work required to keep the businesses running. She has a business partner in the yoga studio; and she is one of 4 owners in the juice bar. And she and her husband work together on their two podcasts. From the beginning, it was important for Teliah and her husband to have people in place to do much of the daily work required to run their businesses. Delegation is one of their priorities in order to be successful. Teliah and her husband had bought an older building for their studio business. The building had a lot of issues they had to deal with, including the water issues mentioned earlier. They also had to do some remodeling and roofing. They also faced setbacks mentally; pressures they put on themselves to reach a certain level of success by a certain point. Setting expectations that were too high led to burnout in some areas. Running a hot yoga studio with only a few instructors led to some of them taking on too many classes, which in turn led to dehydration and needing to restructure their hours. Seeing the success of other studios near them that had been in business for 3 times as long led to Teliah and her partners setting some unrealistic goals for their studio. They had to step back and reassess where they were, and what was more realistic for the amount of time they had been in business. Teliah and her husband put a lot of money and effort into making their studio the most aesthetically pleasing studio in their town. Their building was older, and they worked very hard to give it much more of a “big city” feel. But the fear of not making it, of not being able to pay the bills or pay the employees, was very real. It was when they saw the community stepping in and supporting them that they began to feel like it was going to be okay. Teliah believes in knowing your target market well, and knowing what their needs are, so that you can meet those needs. They spent the time necessary to create a business that their community had already said they wanted. When Teliah and her partners began to see customers transfer from other yoga studios to theirs it was a glimmer of success. Seeing those same customers willing to commit to long term memberships was another huge measure of their success. Basically any time anyone walks through the door, we are like “YES! !” Because every customer is a success. So why in the world did Teliah begin an online business when her 2 brick and mortars were so successful? She found herself not needing to be at the businesses every day running things. And she had a deep desire to connect with other female entrepreneurs who were figuring out how to balance business with real life. Teliah says that the biggest piece of advice she can offer anyone is to ask for help. Reach out to a mentor; find someone who has done it before and ask for help; be okay with delegating things to other people. You don’t have to do everything yourself. being completely happy in every area you find yourself in, in every role that you play. She and her husband set goals every year, but maybe not the way most people set goals. They set goals for the roles they play. 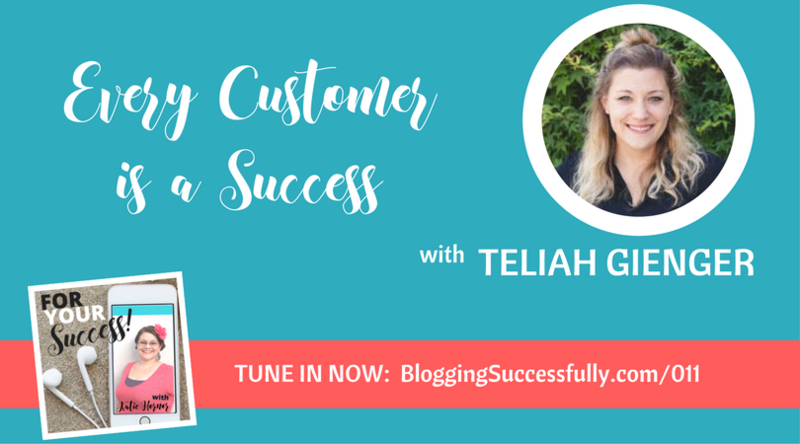 So Teliah sets goals as a wife, as a business owner, as an entrepreneur, as a sister, as a friend, etc. Success for her is being able to reach those goals and be happy in them. And feeling free to eliminate things that are not bringing you joy. 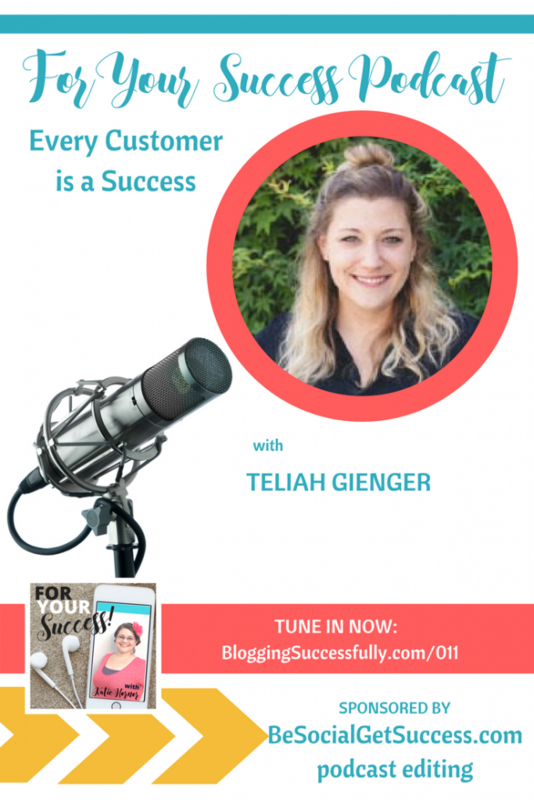 Be sure to connect with Teliah at her website, and listen to her podcast! *We do use affiliate links whenever possible to keep this site and your educational experience ad free. Read our full disclosure here. 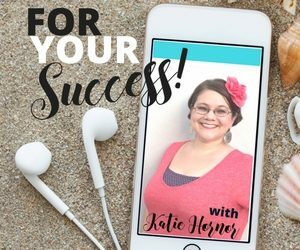 The Balancing Act Podcast – Teliah interviewed Katie here. Successful Dropout Podcast – Teliah's husband interviewed her here. Robin Smith is a podcast editor providing complete technical services for experienced or brand new podcasters. Haven't launched yet? She can help you plan your launch as well. 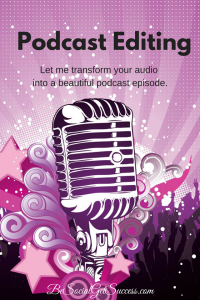 Let Robin transform your audio into a beautiful podcast episode. That means she removes any mistakes, umms & ahhs and unwanted content from your audio. Then she will edit your content to ensure a smooth listener experience and add your show’s intros, outros, music and other audio branding. Even advertising if you wish.